The arrival of the Pilgrims in Plymouth, Massachusetts, in 1620 is central to the American identity and the historical importance of freedom of religion, enshrined in the First Amendment to the Constitution. Capt. John Smith, famous for the settling of Jamestown, Virginia, in 1607, named the region New England on a map in 1616 after he and a small band of sailors surveyed the area and the seas surrounding it. What the Pilgrims endured is the stuff of legend and the story of the first Thanksgiving, celebrated every November by Americans as they toast the beginnings of the country and the strength and toughness of those early settlers. The Pilgrims would likely not have survived without the help of the Native Americans in Massachusetts at that time -- their knowledge about the indigenous foods available was key. Many of these early staples, like corn, beans, squash, and seafood, still play a large part in New England's regional cuisine. The Pilgrims considered corn to be more fit for feeding animals than humans, but out of necessity they quickly learned from the Native Americans how to plant and harvest this vital crop. 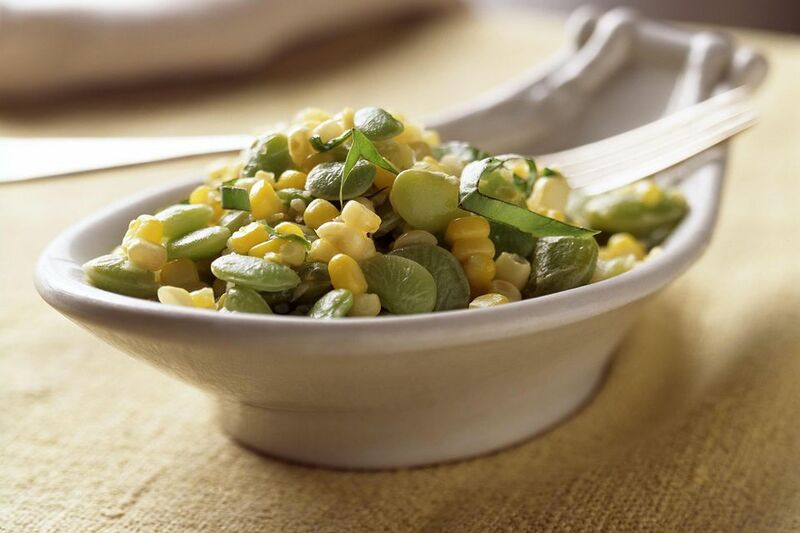 It went a long way toward saving their lives, and corn has a large footprint in past and present New England cuisine that includes succotash (lima beans and corn), johnnycakes (cornmeal flatbread), corn muffins, cornbread, corn chowder -- you get the idea. With the Atlantic touching every New England state but Vermont, seafood as a food source was and is a natural. It's been a prime part of New England cuisine from the time of the first settlements, and it's the main event in an abundance of dishes. Maine is known for lobster, and the entire region is known for clam chowder. Cod is so prevalent it has a section of Massachusetts named after it -- Cape Cod. 'Nuff said. Baked beans are so synonymous with New England that they are commonly referred to as Boston baked beans. These stewed navy beans are sweetened, often with molasses or maple syrup, also a New England icon, and doctored up with bacon (in modern times) or salt pork (in the early days). The Native Americans get credit for this dish too -- they taught the settlers how to make them. Cranberries are strongly identified with New England that you basically can't have Thanksgiving without them -- in sauce, relish or bread. They are indigenous to Massachusetts but are grown to meet the huge seasonal demand in sandy bogs. Once again, the Native Americans are part of the story. They cut the trunks of maple trees to get to the sap, and New Englanders learned from them but upped the game by drilling for it. The sap is boiled down to make maple sugar or syrup. Vermont is especially known for this treat that's essential to a pancake or waffle breakfast. Where Did Hot Chocolate Come From?